A vigorous defense. Unrivaled results. 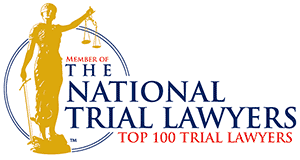 Your trusted criminal defense & DWI attorney in Minneapolis. More than two decades of criminal defense & DWI experience in your court. With more than 20 years practicing as a criminal lawyer in Minneapolis, Mr. Olson has successfully handled cases throughout Minnesota for defendants facing sexual assault, drug possession, DWI / DUI charges and many others. As a result, he is deeply familiar with each county's local practice rules, judges, prosecutors, probation officers and court personnel. You benefit from this breadth and depth of experience because only Mr. Olson will handle your case. It will not be handed off to another attorney or paralegal. Above all, Mr. Olson is focused on achieving the most favorable results for his clients. He will work with you and your support network to educate you on your situation, investigate your case, and maintain regular contact to ensure you are informed and comfortable throughout every stage of the proceedings. Don't wait. 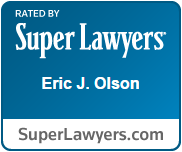 Contact Attorney Eric Olson to start your defense. Being charged with a crime or DUI can be emotionally draining for you and your loved ones. Throughout his years of practice, Mr. Olson has developed significant partnerships and a network of resources that offer assistance to help defendants overcome emotional challenges related to criminal charges, such as chemical dependency and psychological counseling. As well as community resources, Mr. Olson utilizes numerous avenues when working on your case. While police investigations play a part in exploring the situation, Mr. Olson never relies solely on police accounts. Instead, he and his team gather facts from numerous resources related to your case. Plus, he starts his investigation early, a practice that can often lead to successful results before the case ever reaches the courtroom. Contacting Eric J. Olson sooner than later could mean the difference in your favor. Arrested for DUI? Charged with a criminal offense? Call Olson Defense. Call us for a free consultation at 952.835.1088.